What is Articulation and Phonology? Articulation involves how a child produces a sound, while coordinating the tongue, lips, jaw, and other speech organs. Difficulty producing age appropriate sounds can impact a child’s ability to be understood. Phonology refers to patterns of sound production that make speech production easier for children. Children who are not easily understood tend to have difficulty expressing basic wants and needs, making verbal requesting when hungry, and indicating sickness or discomfort. As children get older, these communication difficulties can often result in tantrums, social withdrawal, and/or reduced participation in age appropriate activities. 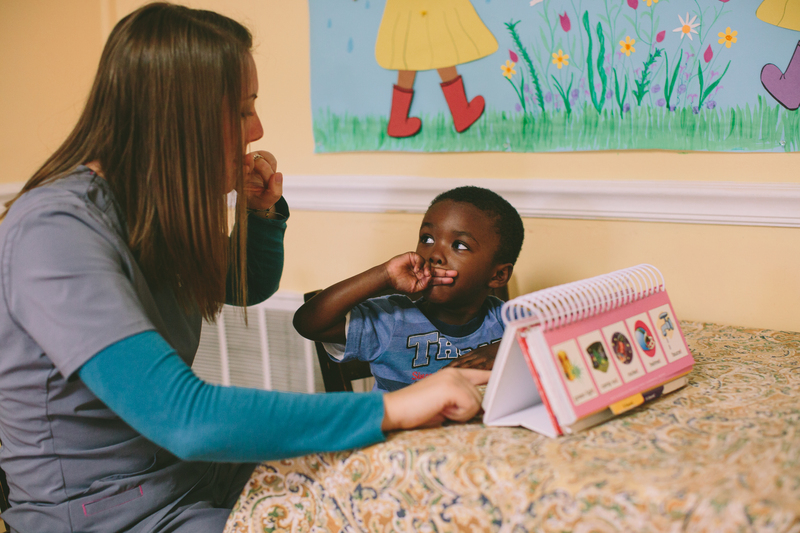 If you have concerns for your child’s Articulation Skills, contact us today for a FREE screening!